Book a table online or call us at (416) 364-0054. Connecting people to place through contemporary Canadian cuisine, Canoe crafts inspired dishes reflective of our country’s diverse landscape, history and culture. Our chefs work closely with farmers and suppliers to source the finest ingredients from across the nation. With over 20 years of culinary history, Canoe continues to challenge creative boundaries in the spirit of celebrating Canada and its distinct provinces. 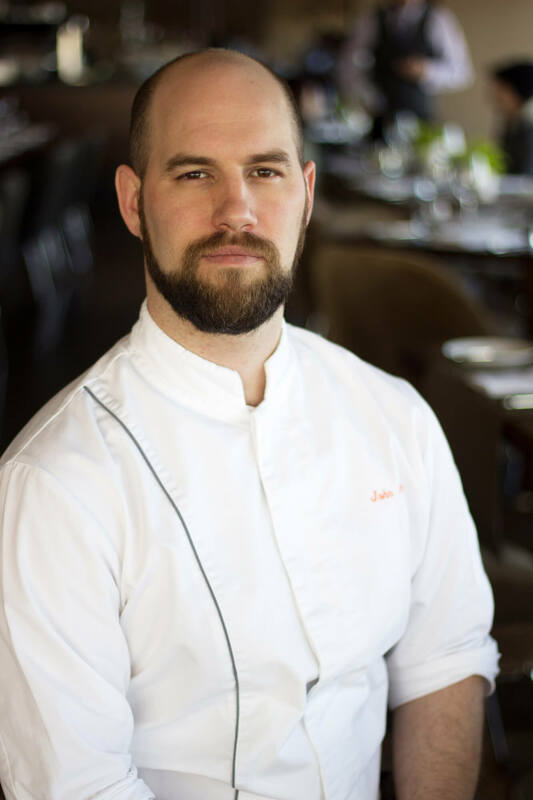 Since being appointed Chef of Canoe in 2010, John Horne has incorporated his passion for refined flavours, seasonal ingredients and explosive presentation with his love of Canadian cuisine. After graduating from the Niagara College Culinary Management program, Chef John worked at Almeida in London, England under the tutelage of Chef Ian Wood for two years. With experience at Michelin-starred restaurants such as L’Escargot, The Square and the Orrery under his belt, John honed his classic French techniques for seven years as the Senior Sous Chef of Auberge du Pommier, one of Toronto’s most celebrated French restaurants. With his love of learning always in gear, Chef John returned to Europe to work at Crillon le Brave. Respected for his dedication to Canadian cuisine, he has collaborated with those who share his philosophy – Martin Picard (Au Pied de Cochon), Jeremy Charles (Raymonds) and Société-Orignal (foraging specialist). In 2011, John was named the Nine of Dine winner at the Gourmet Food and Wine Expo. In 2012, he was the only chef from outside of Montréal asked to participate in the international Omnivore World Tour to represent Canadian “Young Cuisine” for the first event held in Canada. Chef John proved his culinary prowess, taking home the gold award at the prestigious 2014 Gold Medal Plates competition after going head-to-head with nine of Toronto’s finest culinary masters at the prestigious culinary event. At Canoe, Chef John was able to take his cooking to the next level as he is constantly inspired by quality Canadian ingredients, a revelation that came as a result of his travels abroad. In 2015, Chef John was appointed District Executive Chef of Oliver & Bonacini Restaurants. In this role, he oversees the culinary direction at Canoe, Auberge du Pommier, Jump, and the newly opened Liberty Commons at Big Rock Brewery. Recently landed in Toronto, Chef Ron McKinlay brings over 10 years of international cooking experience in renowned restaurants across the U.K., Australia and the Middle East. Chef Ron has always loved food – whether he was digging in to his mom’s homemade Sunday roast or mixing up waffle batter on Saturday morning. After completing a Culinary Arts diploma in his hometown of Vancouver, he took off to New Zealand to play competitive rugby and travel abroad, until an unfortunate injury ended his career in his early 20s. That’s when he decided to move back to Canada and give cooking a shot. In 2006, while researching the U.K.’s Michelin-star restaurants, Chef Ron booked a ticket to Edinburgh, Scotland on a whim. Through sheer persistence, he was able to snag a role training under Michelin-star Chef Tom Kitchin, who would become a great influence and mentor. He spent nearly four years at The Kitchin cooking classic French food with Scottish ingredients, while grinding out 17-hour days. He worked hard to perfect his old school cooking techniques, established a strong sense of discipline, and learned how to take criticism in the kitchen. 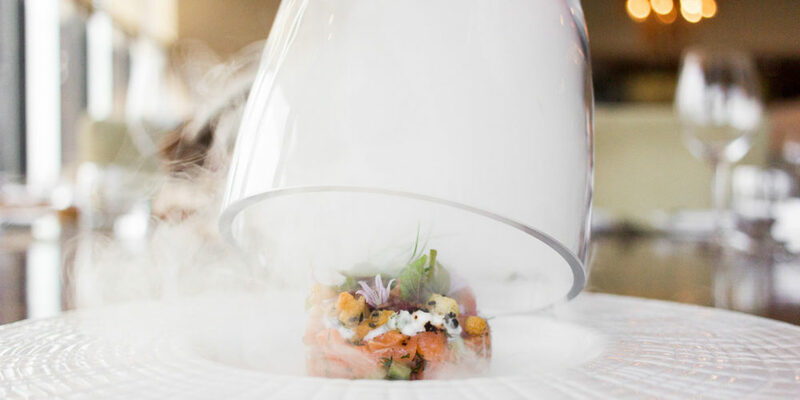 Chef Ron made the leap to Melbourne, Australia in 2010, where he helped to open Maze by Chef Gordon Ramsay, and then moved on to work under Chef Scott Pickett at Estelle Bar & Kitchen. 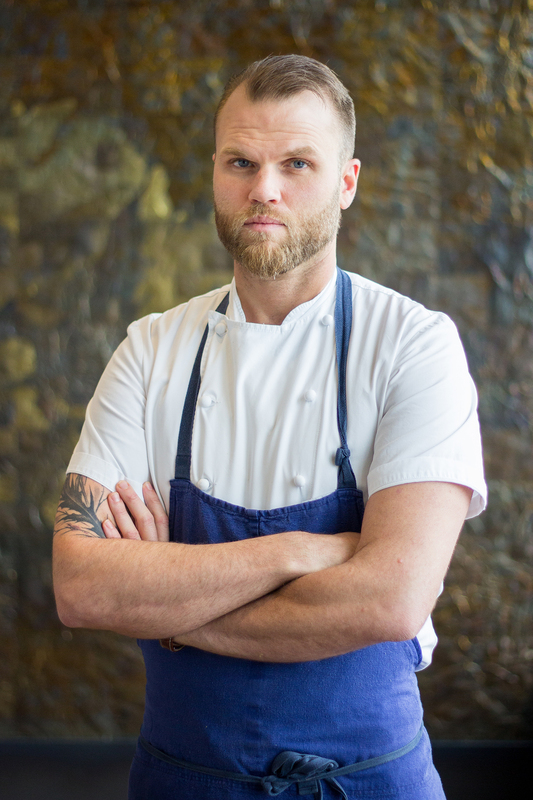 After rising up to Senior Sous Chef, he was appointed by Chef Pickett to open and lead Saint Crispin as Chef de Cuisine, which would earn two hats in 2014. The following year, Chef Ron made another big move – this time to take a Chef de Cuisine position at the Six Senses resort in Zighy Bay, Oman. While he embraced his autonomy and took the opportunity to create and test out new dishes, after 18 months he was ready to come home to Canada. Now, as the newly appointed Chef de Cuisine of Canoe, Chef Ron is thrilled to apply his refined techniques and modern cooking style. Inspired by Executive Chef John Horne’s encyclopedic knowledge of Canada’s terroir, Chef Ron is excited to innovate new dishes and flavours influenced by Canadian ingredients – from B.C. seaweed and Ontario birch syrup to foraged Labrador tea and Fogo Island crab.